What Is The Best Van Ever Built? Cars are all well and good, but vans are where the party is at. When this van is a rockin', don't come a knockin'! Right... ladies? Anywho, what's the best van ever? Mine is a bit of a personal choice, and it goes to the Dodge Ram B-Series. We Okulskis liked them so much, we had two of the 15-passenger variety. 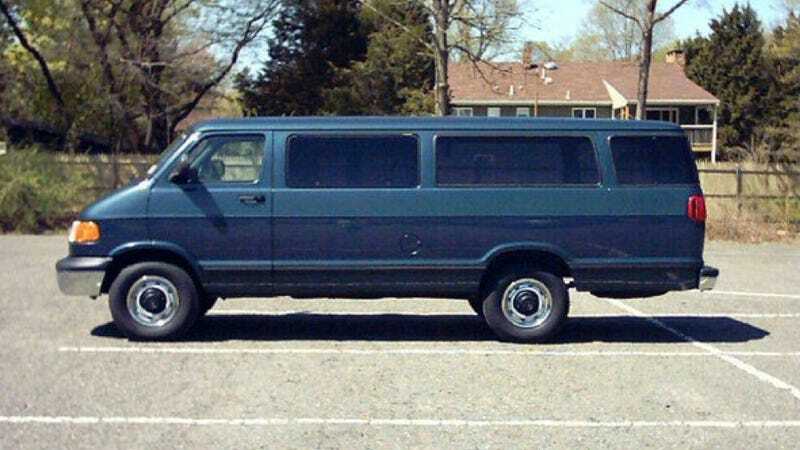 Now you're probably saying, "hey, you're an only child that had basically no friends, why the hell do you need a 15-passenger van?" One simple reason folks: Go-karts. Those vans were the reason we made it to the track every weekend to race. We could hold all our gear and two karts on a special rack that my dad built. The Rams also held (get ready for sappiness), in addition to their cargo, a lot of great memories. What say you? What's the finest van in all the van land?